No complete bibliography of George Eliot's works and the biography, scholarship and criticism on her exists. This compilation, which is heavily selective and inconsistent, is a great disappointment. 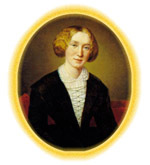 Editions of George Eliot's writings are not included, and the selection contains a number of gaps. For example, Valentine Cunningham's Everywhere Spoken Against (1975) is not included. I find it hard to justify the publication of this book: 128 pages, with 3 -6 entries per page bringing us to a grand total of 3 82 - a fraction of what is worth recording - means that by any standards this is very expensive. Sometimes there is compensation in the critical commentary. I was pleased to see that Mary Deakin' s so often ignored The Early Life of George Eliot (1913) gets 41/2 lines of praise, where Haight's 'definitive' biography merits 91/ 2, There is a brief section called' Advice to the Reader’, but what is missing is a full-scale introduction to the principles of selection and criticism in the book itself.